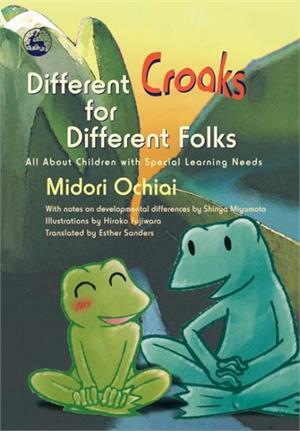 This engaging colour illustrated book explores the difficulties faced by 'frogs with a different croak'. Aimed at children with autism and related spectrum conditions, Teacher Toad's lessons pick up on social and physical difficulties and the kind of behaviours that can get young frogs into trouble. Each lesson gives practical advice on issues covering everything from hard-to-break habits to physical coordination difficulties. Without using `labels', Midori Ochiai writes about a range of conditions in a child-friendly, non-threatening way that encourages a positive and fun approach to understanding, accepting and accommodating difference. A helpful appendix provides background information. Ideal for reading with children, this book will be helpful to parents and professionals.